We are Persian cat breeders, running a CFA registered, PKD negative Cattery. Our goal is to raise happy healthy Persians kittens. Bicolors, Vans, Tabby & White. Pet quality, Breeder, & Top show kittens ready now, and sometimes we have that special adult looking for a fun forever loving home. (I updated the post with the FB link a while ago :) - Ed.). Hi Sandy, I am looking for a Persian to adopt or a kitten to buy but can't seem to get to there on your post. Can you help me? I'll update the post. Thanks! Join in and write your own page! It's easy to do. How? 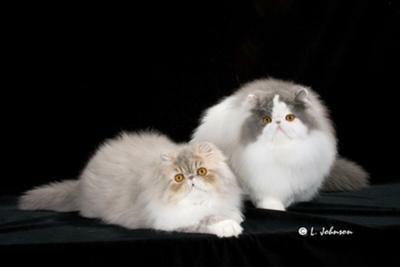 Simply click here to return to Persian Cat Breeders.